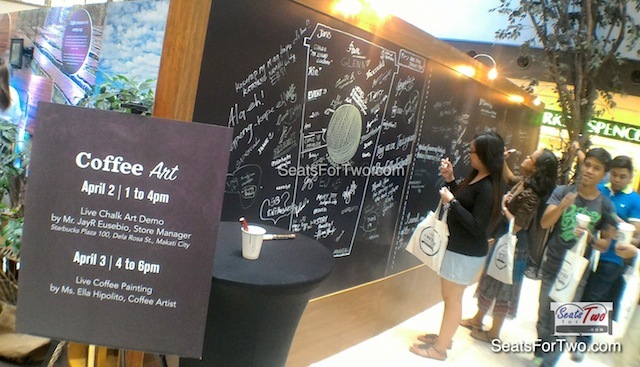 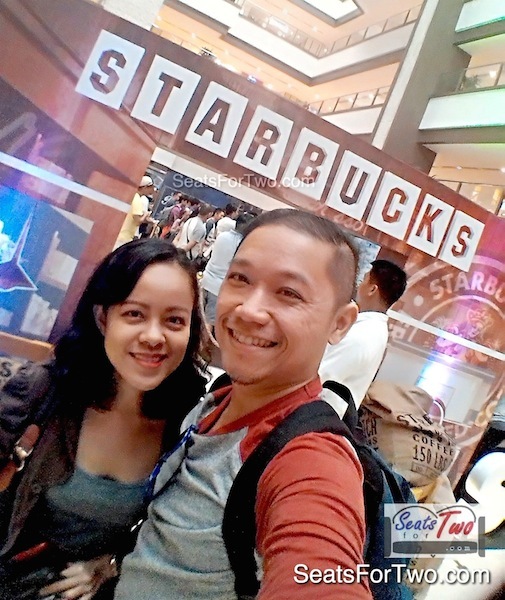 We heeded the call of coffee and visited Starbucks Philippines’ 1st Coffee Festival which started yesterday, April 2, 2016 at Shangri-La Plaza Mall in Mandaluyong City. 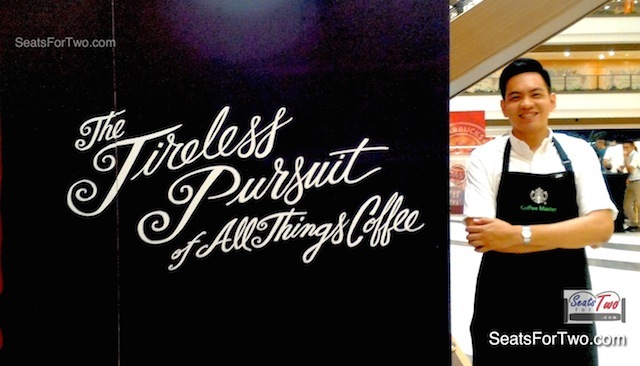 We hope you love our Coffee Journey in photos! 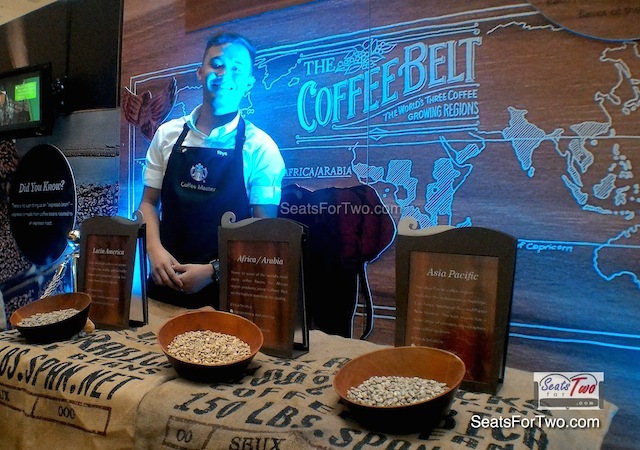 Our coffee journey at the Starbucks Coffee Festival started with a brief history of coffee, coffee regions, and the Starbucks roasting spectrum. 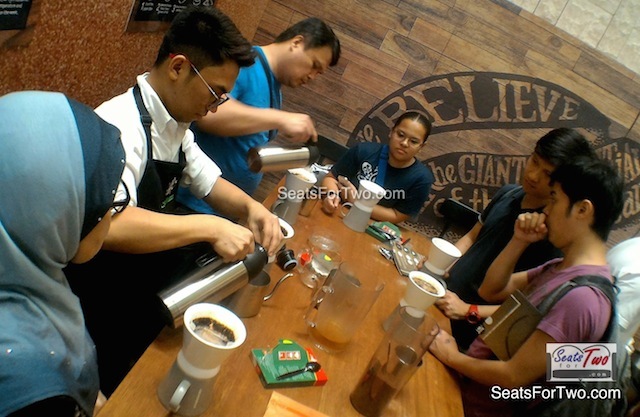 There were also demonstrations of home brewing and of course, coffee tasting including that from Starbucks Reserve. 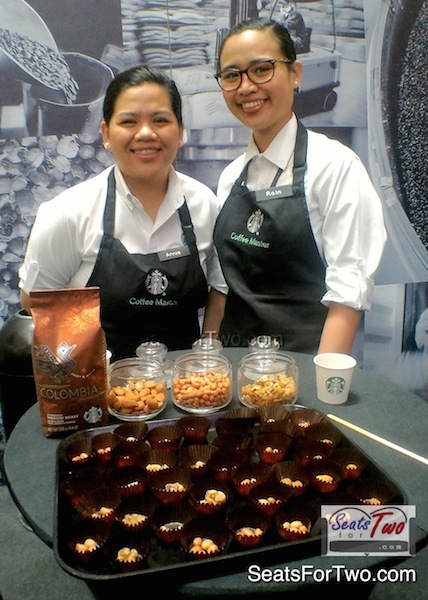 Here are some snaps from the Starbucks Coffee Festival and happy faces after a fresh sip of brewed coffee. 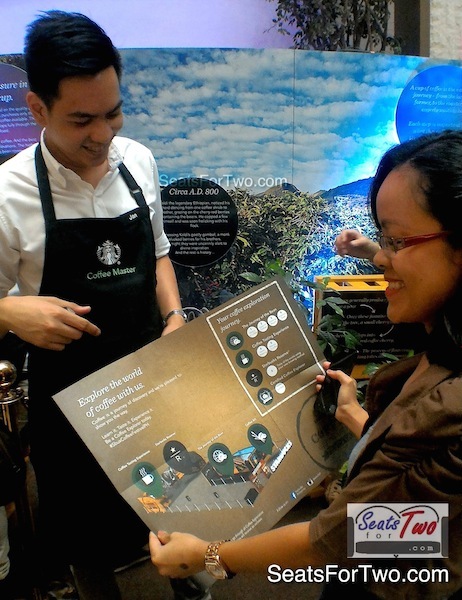 Marjorie w/ Coffee Map: So where do we start Mr. Barista? 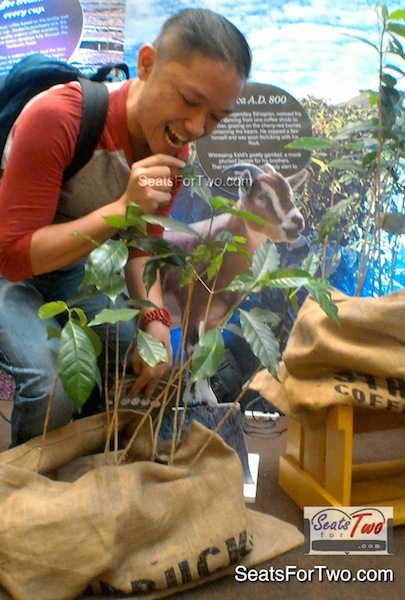 Jonel: Are these coffee trees edible? 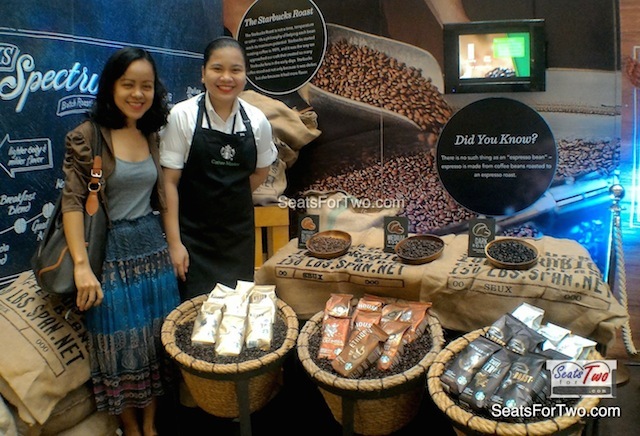 😉 ; Did you know that ‪‎Kaldi‬ the kambing (beside me, not me) discovered the 1st ‪coffee‬ beans in A.D.800 in Ethiopia? 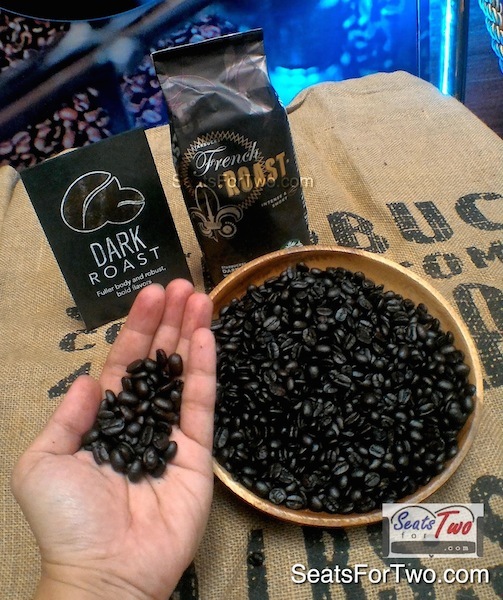 Which COFFEE REGION are you from? 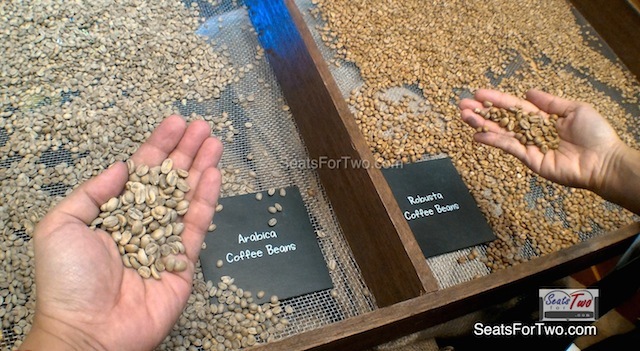 Let’s do some “Home Brew” ! 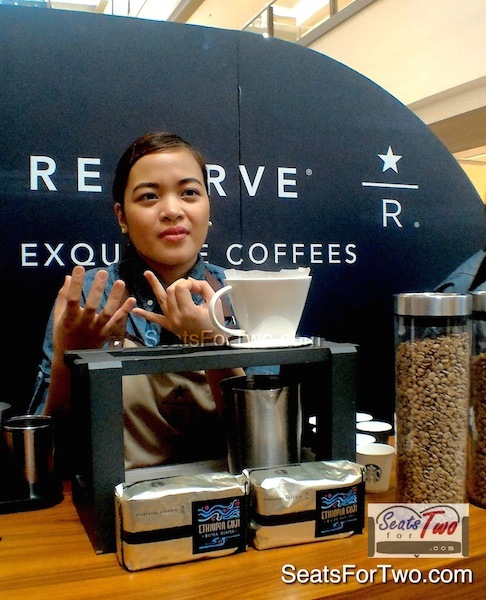 “Filipinos are learning to appreciate the diverse world of coffee. 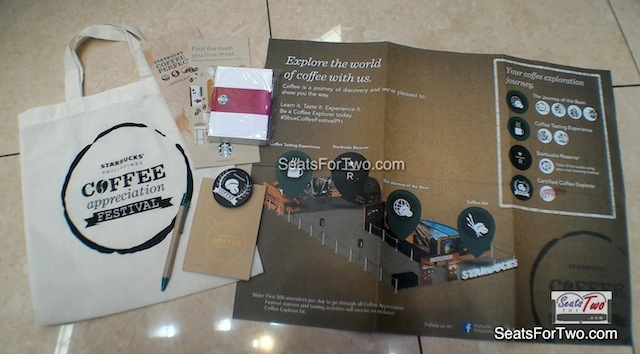 Our goal in staging our very first Starbucks Coffee Appreciation Festival is to help coffee enthusiasts better appreciate the story and the art that goes into every cup, from the bean to the region where the coffee bean grew to the brewing process to the preparation of the beverage. 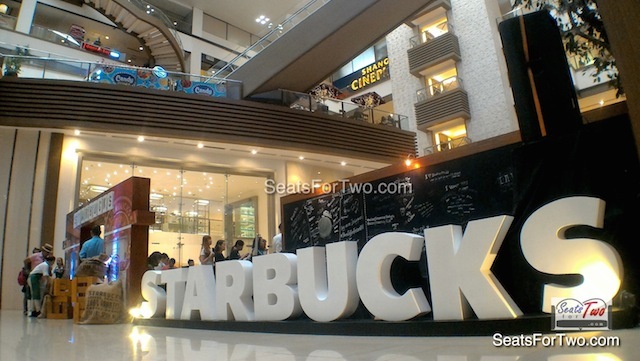 So much goes into one cup of Starbucks coffee and we know that with appreciation, the beverage itself tastes better as the coffee drinker is better able to appreciate coffee as more than just a beverage,” said Keith Cole, head of marketing for Rustan Coffee Corporation (Starbucks Philippines). 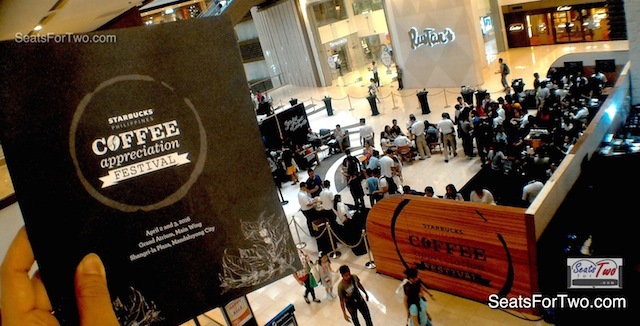 Join the last day of this “Coffee Appreciation Festival” today! 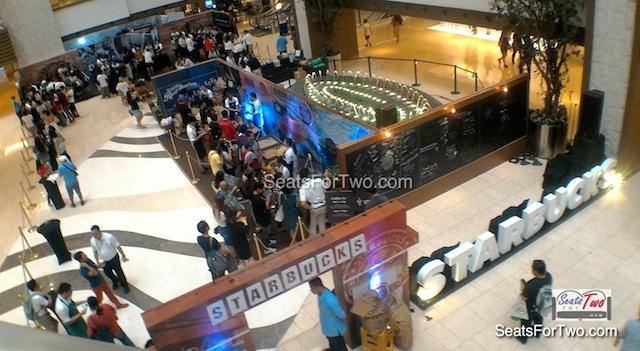 You can still join Day 2 of the Starbucks Coffee Festival today – April 3, 2016 – and enjoy your coffee weekend! 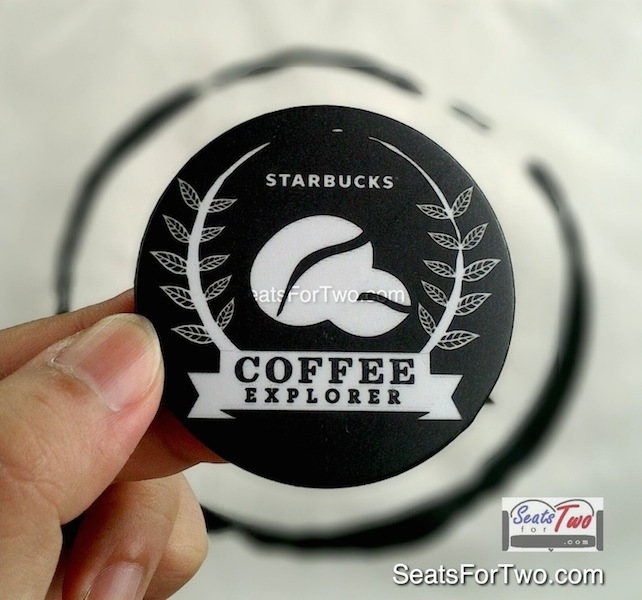 i want the Starbucks explorer button!